The advent of punk had been a real shake up to the musical system. It’s evolution into new wave and eventually post-punk meant that bands could fully experiment with different musical genres without falling completely out of the umbrella that made them successful in the first place. 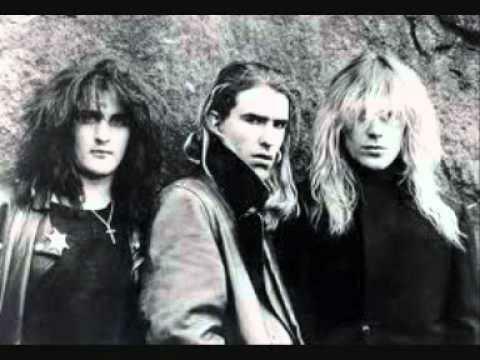 New Model Army took a large amount of the punk protest mantra and combined it with the slick, catchy pseudo pop jingles of The Jam. But, unlike Paul Weller’s subliminal protests, New Model Army were young, snot nosed and pissed off without being afraid to show it. ‘No Rest for the Wicked’ is the sophomore album from New Model Army and their first album on a major label after their debut album ‘Vengeance’ attracted a huge amount of attention. Released in 1985, ‘No Rest…’ perfectly sums up the working-class mood in the United Kingdom at the time, the Falkland’s Conflict was still fresh in everybody’s mind, as well as the propaganda used by Margaret Thatcher and the Conservative Government on the run to the up the 1983 General Election. Not only were political tensions high, but also racial tensions, at this time, the people would start to fight back against the institutionalised racism that had embedded itself within the system, particularly that of the police force. All this anger transposes itself straight onto ‘No Rest…’ as vocalist Justin Sullivan and his guitar croon their way through such angry tirades as the fear inducing ‘Frightened’, the equality anthem of ‘My Country’ and the loss of innocence provoking ‘Grandmother’s Footsteps’. However, it is the superb leading basslines of Stuart Morrow which provide the perfect backdrop for these venomous vocals and without Morrow’s basslines driving the album forward and filling out the sound, it would leave ‘No Rest…’ feeling relatively flat, indistinguishable to other bands and one dimensional. 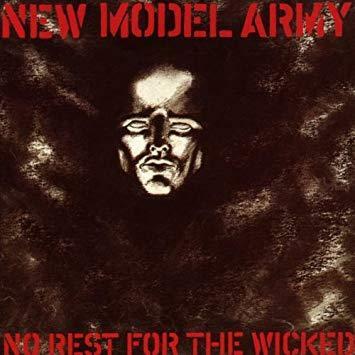 Furthermore, because of this, it makes not just ‘No Rest…’ but New Model Army, the perfect spiritual successor to The Jam. One of the best things about this album is that the lyrics of the Yorkshire three piece which even now, still ring as true today as they did back in 1985 which is one of the reasons which make ‘No Rest…’ so endearing. This brings about a renewed appeal each time that this album is heard, giving the album a sense of longevity and when coupled with its youthful vigour, it makes ‘No Rest…’ one of the best places to start when exploring the New Model Army catalogue and familiar album to crank up loud for those already acquainted with the bands work.